Our ancestors lived in physical and spiritual communion with Mother Earth. 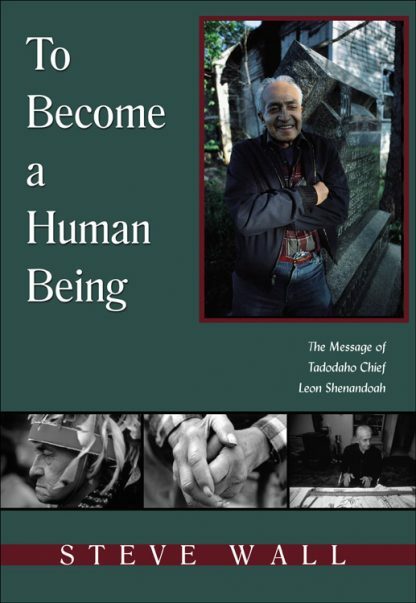 The Native American way of life has kept its people close to their living roots.To Become a Human Being--to rise to an expanded level of consciousness by living on the Earth as it was intended for us to live--captures the essence of Native American wisdom, in the words of Tadodaho Chief Leon Shenandoah, high chief among the Six Nations Iroquois Confederacy, and revered spiritual leader. Using tapes of conversations made over a thirteen-year period, Wall recreates Chief Shenandoah's message in a unique free-flowing voice. What's more, Wall enhances the message with the dramatic photographs that have made each of his creations, including the best-selling Wisdomkeepers, not just books, but treasures.